This statistic shows the share of Californian respondents who think health insurance coverage for mental health counseling and alcohol or drug use problems is very important as of 2017, by region. 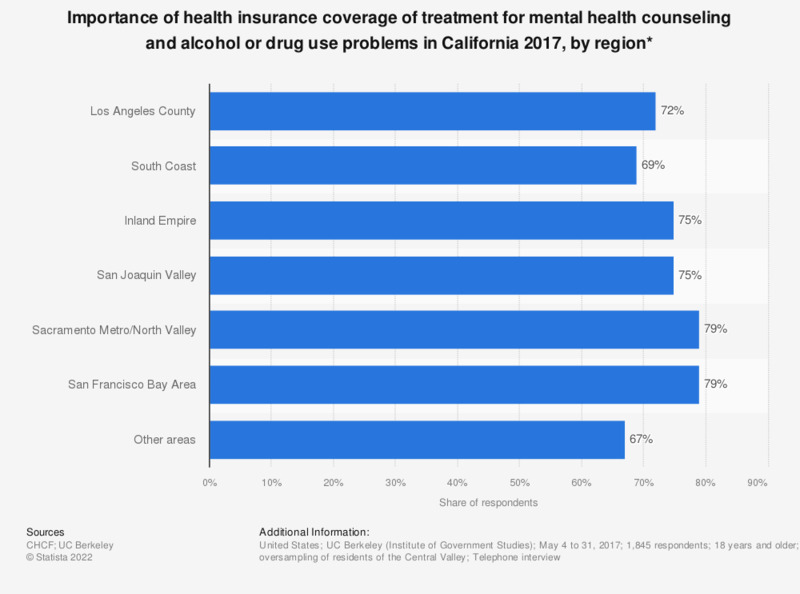 Some 72 percent of respondents in the Los Angeles County region agreed that it is very important for them that health insurance should cover mental health counseling and treatment of alcohol or drug use problems. * Percentage of respondents answering with "very important". Who is your health insurance provider?